Zinnia blooms, and I finally get a tomato fruit! It’s a big week. The zinnia that I transplanted is about to bloom in various different parts of different beds, and the first one to show a flower looks awesome. 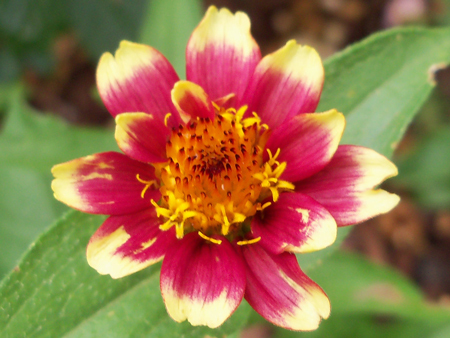 The first of the Mexican Zinnia Persian Carpet Mix. Nice. The seed packets were 75 cents each from Park's Seed. Bonus. 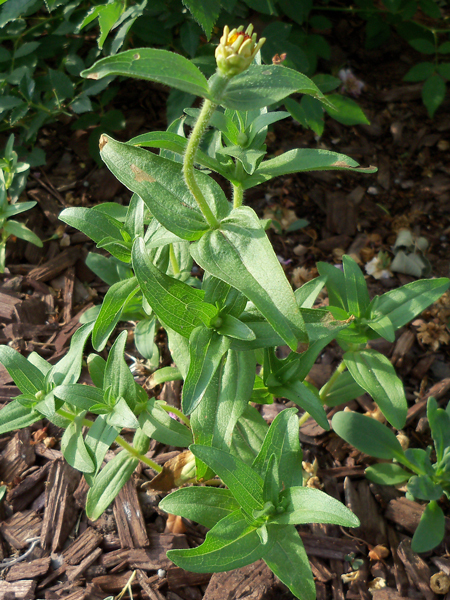 The zinnia before it bloomed. 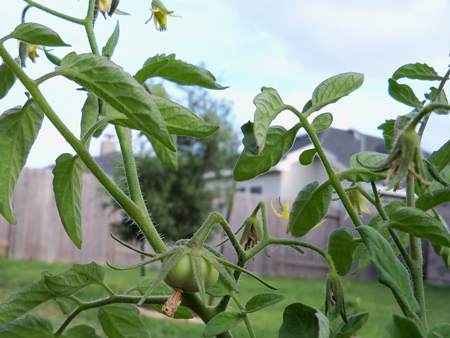 And then, after Kim has already picked five tomatoes, I finally have one that is finally growing on The Beef Maestro tomato plant I have in a large container. 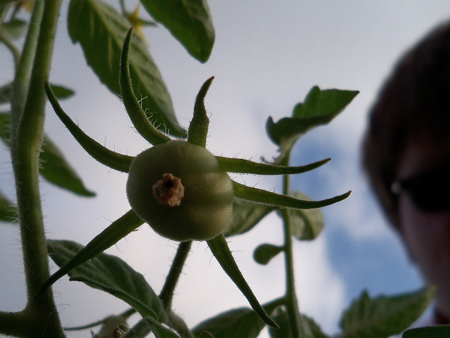 Another shot of the tomato/self portrait.